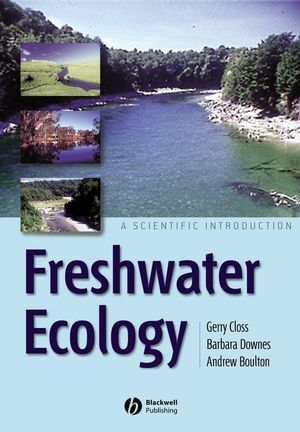 Eminent contributors present articles which evaluate the causes, consequences and reversibility of freshwater acidification--past, present and future. 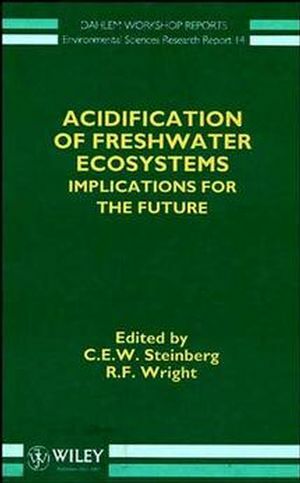 C. E. W. Steinberg and R. F. Wright are the authors of Acidification of Freshwater Ecosystems: Implications for the Future, published by Wiley. Acidic Emissions and Political Systems (T. Paces). The Relative Importance of Sulfur and Nitrogen Compounds in theAcidification of Freshwater (H. Van Miegroet). Lake Acidification and the Role of Paleolimnology (R. Battarbee& D. Charles). Role of Organic Acids in Acidification of Fresh Waters (H.Hemond). Effects of Acidification on Trace Metal Transport in Fresh Waters(J. Vesely). Biological Processes that Affect Water Chemistry (C. Kelly). The Biological Effects of Acid Episodes (S. Ormerod & A.Jenkins). Invertebrate Community Changes Caused by Reduced Acidification (G.Raddum & A. Fjellheim). Predicting Recovery of Freshwater Ecosystems: Trout in NorwegianLakes (B. Cosby, et al. ).